Don’t want to see the Stock Ticker and market details on the iOS Notification Center every time you swipe down to view it on your iPhone or iPad? Many users don’t, and this was one of the first questions a friend asked me after updating to iOS and discovering market details as a prominent feature of the Notifications panel. So if the stock market and movements don’t play any meaningful role in your daily life, here’s how to remove the stocks widget from all versions of iOS and clean up your notification panel a bit. 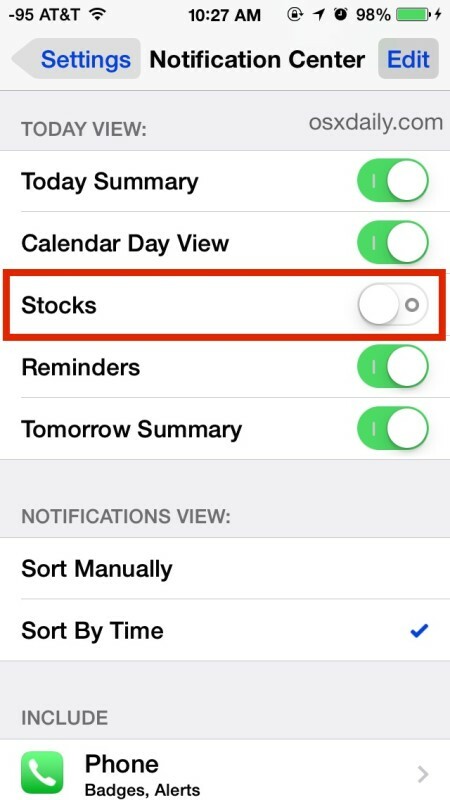 You can re-enable the Stocks view at any time if you want to just by going back and toggling the switch back ON. Prior versions of iOS look a bit different and things are handled slightly different as well, we’ll cover that next. Can you turn on and off widgets in iPad? On the other hand, I would love to have the stock widget on my iPad. How do I get it? 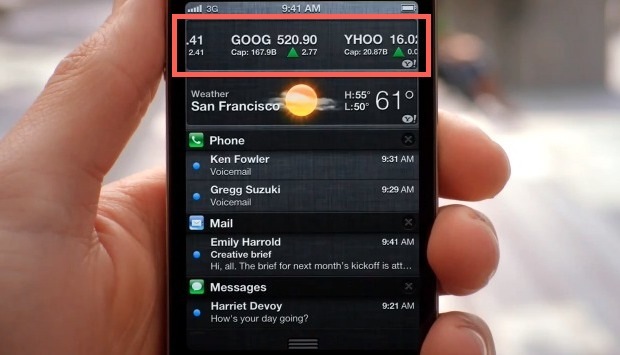 I downloaded the Yahoo Finance app but am not getting the ticker readout. thank you. it was really bugging me.